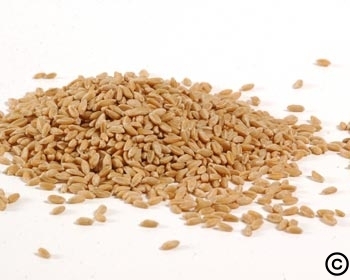 The origin of spelt has been traced all the way back to the first cultivation’s of grain, around 500 BC. Today it has found its niche in the human food industry as a substitute for wheat or other gluten containing grains. Many who have allergic reactions to regular grains are able to consume spelt and still enjoy a diet with grain protein and soluble fiber. This grain is an excellent high-gluten substitute for those allergic to wheat, it can be substituted for wheat in pretty near every recipe. Simply use a bit less liquid or more flour when substituting spelt in recipes calling for wheat. Chemical Free. GMO Free. All grain sales are final and there will be no returns on grain sales. Depending on the destination zip code and method of shipment there will also be a additional $15.00 to $30.00 shipping charge per each 45 or 50 pound grain container sold.